Yes! 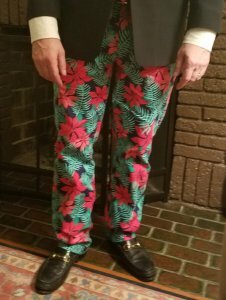 Poinsettia pants! Sadly, I can only start wearing after Thanksgiving, and have to put them away after Christmas.